An Asian Fusion bistro and a cold-pressed juice store have opened in downtown Northville, with a small plates restaurant and a gastropub scheduled to open next month. 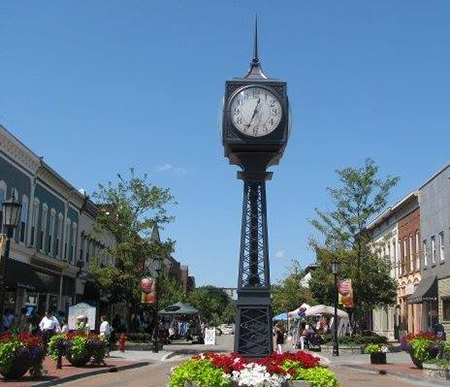 “The new eateries provide an even greater variety of options for residents and visitors to choose from and allows us, as a downtown, to further support locally-owned businesses,” says Lori Ward, director of the Northville Downtown Development Authority. Wok Asian Bistro, at 144 Mary Alexander Ct., features appetizers such as egg rolls and spinach and artichoke wontons, and a create-your-own stir-fry station with ingredients such as shrimp, beef, tofu, and chicken. The restaurant, which has a full bar and patio seating, is now open. Berkley-based Urge Juice also has opened up in downtown Northville, marking its second overall location. The to-go restaurant, at 137 E. Main St., features cold-pressed raw juices and vegan snacks. The Spanish-inspired small-plates restaurant, Lucy & the Wolf, at 102 E. Main St., will open this week. In addition, the owners of Ironwood Grille and Barrio in downtown Plymouth, and Library Pub & Sports Grille in West Bloomfield Township, will open Center Street Grille in July. The restaurant, to be located at 135 N. Center St., will feature pizza, pasta, burgers, salads, and sandwiches. Center Street Grille also has outdoor seating. Ward says Downtown Northville now has more than 25 eateries and 60 retail establishments.